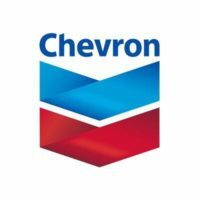 Chevron Corporation is an integrated energy and technology company. The publicly owned company operates worldwide through its subsidiary brands Chevron, Texaco, and Caltex. The corporation employs more than 64,000 people, 3,200 in its service stations. You can find a link for a Chevron Application by going through the application links at the bottom. The corporation works with crude oil from drilling and transporting to refining. The company sells and distributes coal and its energy products including lubricants, additives, and petrochemical products. It is developing biofuels, geothermal energy, and renewables. Chevron Corporation is one of the largest oil and energy companies in the world. The company was founded as Pacific Coast Oil Company in 1879 after an oil discovery at Pico Canyon in California. It later was known as Standard Oil Co. of California, until it acquired Gulf Oil Co. in 1984, and changed its name to Chevron. The company merged with Texaco in 2001. The business is shared on the NYSE as CVX. John S. Watson is Chairman and CEO of the S&P 500 Component, which is headquartered in San Ramon, California. Today the company contributes to its local communities, works to develop new sources of energy to safeguard the environment, and strives to maintain safety standards. The oil company offers corporate level careers in the areas of Information Technology, Human Resources, Finance and Accounting, Health, Legal, Environment and Safety, and Sales and Marketing. Many job opportunities exist worldwide in the areas of Engineering, Earth Science, Maritime Operations and Maintenance, Refining Operations, Drilling and Completions, Transportation, Chemistry, and more. Chevron careers offered on the website cover a wide range of jobs and internships. Very few gas station positions are listed on the website. If you would like a job as a Customer Service Cashier, Convenience Store Manager, Gas Station Manager, or Assistant Station Manager, you can check the website for gas station locations near you and apply in person. How old do you have to be to work at Chevron? You must be 18 to work at Chevron. Most jobs in the gas stations don’t require much experience, but other positions in the company can require highly specialized knowledge. Be sure to read the job description before you apply for Chevron jobs online. The company provides an excellent benefits package to qualified employees, including incentive awards, health insurance with dental, retirement, disability, and life insurance, domestic partner benefits, flexible spending account, paid days off, counseling services, flexible scheduling, adoption benefits, fitness plans, tuition assistance, and more. Scheduling will vary by job title and location. Assistant Station Manager – An Assistant Station Manager helps the Station Manager perform the general operations of the gas station. Previous management experience, computer skills, and a high school diploma are required. Must be able to handle cash accurately, and have food handling certificates, if applicable. Pay for this position starts around $20,000 per year. L&D Document Management Administrative Assistant – In this position your responsibilities would be to manage and track operation and maintenance at a refinery using Electronic Document Management System and other software. You would track audit cycles and issue reports, and much more. A high school diploma and high proficiency with various software programs is required. An average yearly salary for this position is around $55,000. Finance Analyst – In this position you would perform accounting services and financial analysis for the company’s various businesses. Proficiency in Excel and SAP, two years of experience in financial work, and a bachelor’s degree in Accounting. This career exposes the worker to people from diverse cultures and has shifting schedule times. An average salary for this position is around $100,000 per year. Mechanical Engineer – The Mechanical Engineer provides engineering services to prevent problems at production facilities, provides consultation for future projects, and mentors junior engineers. This worker consults with vendors, contractors, and stakeholders toward a common goal. A BS degree in Engineering and 10 years of experience working in the oil and gas industry are required. Salary range for this position is $58,000 to $150,000 per year. Would you describe yourself as people oriented? This quality would be very helpful for any position working at the service stations. It would be far less important for a geologist in the wilderness. If you are applying for any position that involves working with people, the company will prefer hiring candidates who enjoy people. What would you do if you found out a coworker was letting someone steal from the business? The oil company looks for integrity in its workforce. This question is aimed at retail operations, but can apply to company supplies and equipment as well. Your interviewer wants to know that you are a trustworthy person. Can you meet the legal requirements to work in the country where the position you want is being offered? The corporation has operations in roughly 180 countries. If your Chevron application is for a position in a country where you do not have citizenship, make sure that you can meet the legal requirements to work there. Are you willing to undergo a drug screen? The company requires all external hires to take a drug screen and undergo a background check. Applicants may be considered for employment despite arrests or convictions. Drug use will not be tolerated. There is no printable application for Chevron at the website. Do you meet the requirements of the position you want? The gas stations offer entry-level positions, but the vast majority of jobs offered by the company have very specific education and experience requirements. Make sure that you are proficient in all computer software programs and meet any other requirements of your desired Chevron jobs. Be sure to bring any documents you may need with you to your interview, including ID, work visa, or passport. If you wish to apply online you will have to register with the website first. You will not be able to download application form or get a printable application form at the site. If you would like to know how to apply for Chevron online, go to their website through the application links below. You will have to register with the website before you can fill out applications or get an address to send a resume. You can apply for jobs all over the world with the website’s free application, but you will need to apply in person for service station jobs. You can fill out an online application to apply for jobs at Chevron. Visit their website through the application links below to view available jobs and read job descriptions. You will be able to use the direct application process to get an application form for most open positions in the company.